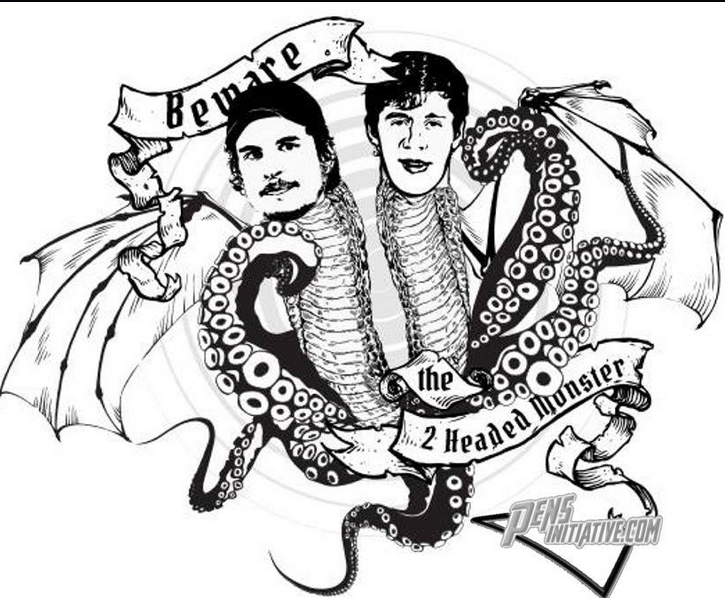 It seems like just yesterday Evgeni Malkin and Sidney Crosby were starting in the NHL. It is hard to believe that they are playing in their eighth and ninth seasons, respectively, this season. They are still in the prime of their careers, but they are not the kids they were once upon a time. Generally speaking, fans probably view the Penguins as a young team, but the numbers suggest otherwise. 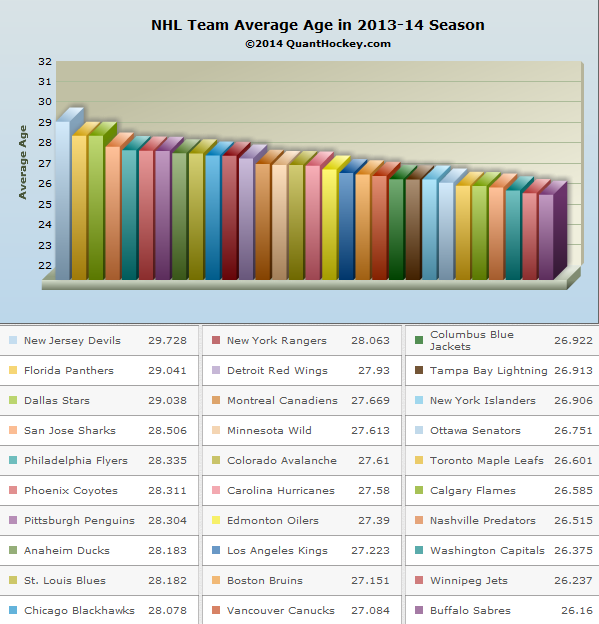 Looking at the above chart, it is easy to see that the Penguins are in fact the seventh OLDEST team in the NHL. The numbers are pretty close, but it is worth noting that this team is slowly approaching the top of the league in terms of age. If you notice some of the teams older than the Penguins, there are a couple of very good teams. The Sharks and Flyers, for example, are both older than the Penguins. I am not suggesting that you cannot have an older team and still do well, but I am suggesting the Penguins could be a better team by injecting a bit of youth, speed, skill, and exuberance into the lineup. With this in mind, who should sit and should be called up? 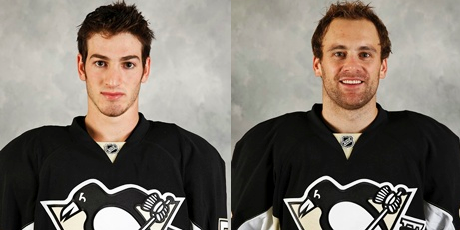 Tanner Glass and Craig Adams are my two staples that need to take a seat. I understand they both provide toughness and grit to a somewhat weak lineup in terms of checking, but their lack of speed and lack of offensive prowess far outweigh their positives in my eyes. I included Taylor Pyatt on this because he has still been making spot starts recently, and it is time for the Pyatt experiment to be over. It was a good idea to give it a shot for the Penguins, but it is not working, and he should never start a game from here on out. Rob Scuderi and Brooks Orpik on this list. I wrote a couple of weeks ago about Brooks Orpik's steady decline this season, and to his credit, he has played better in the past two weeks. That being said, I still would not mind giving him a rest for a while and trying another defenseman in his spot. 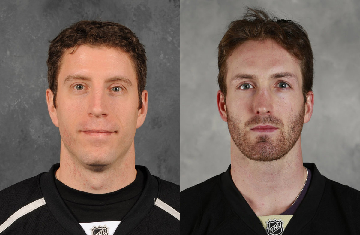 Rob Scuderi has not been the same since his ankle injury. He had a strong start to the season, but he has been dreadful lately. The game against the Red Wings last Thursday was easily his worst game this year. Jayson Megna has looked impressive in limited action this year for the Penguins. He has a great forecheck and enough of an offensive presence that teams would have to take the 3rd line more seriously with him in the lineup. Harry Zolnierczyk's acquisition this offseason caused many fans to snicker, including myself, but he has looked good when given the chance at the NHL level. His speed and tenacious forechecking would seem to go hand-in-hand with what Bylsma likes to do offensively, and he provides some extra grit for the bottom six. He may seem like he should be a lot older, but he is only 26. 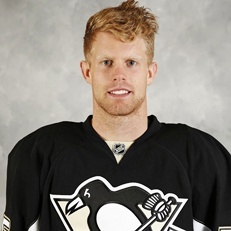 Philip Samuelsson played in only five games for the Penguins earlier this season. Since then, he has continued to shine for the Baby Pens. In 63 games, he has 3 goals, 18 assists, and is a +17. Additionally, he is often matched up against the other team's most potent offensive weapons and is considered the team's "shutdown" defenseman. He also plays a good deal on the PK. That is why I think he would make a nice fill-in for Orpik or Scuderi, while providing a major upgrade in skating, and a slight upgrade offensively. When Bennett was healthy enough to return to the NHL, I would sit either Harry Z or Vitale and put Bennett on the third line with Megna and Sutter. I know these changes are not very likely to occur, but I really think it is something the Penguins should consider. This team will be in the playoffs, and will most likely clinch the Metropolitan by the beginning of April. With only 11 regular season games left, this team needs to experiment and see if some of the younger players could make an immediate impact. Worst case scenario? There is none. They simply cannot be worse than what the bottom six has yielded thus far for this team. If things didn't work out, the veterans would be waiting in the wings to start again.